Escape the winter chill inside a cosy igloo with chocolate fondue. Known for serving tasty pub meals with a few modern twists, Auburn Hotel has been a favourite among the stacked Hawthorn pub scene for many years. 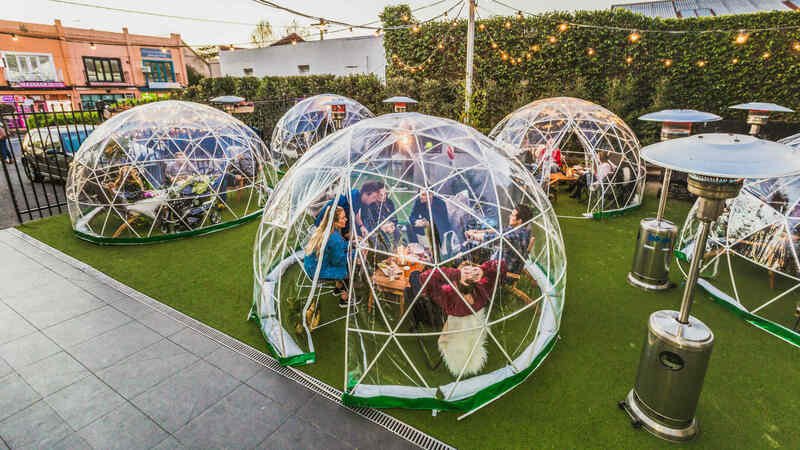 This winter, the venue is keeping things cosy, filling its beer garden with igloos. To celebrate this snug arrangement, Auburn Hotel has teamed up with much-loved Healesville brewers White Rabbit to host a party on Saturday, June 23, from 5pm. Attendees will get a free White Rabbit Pale Ale and a selection of delicious canapes between 7–8pm. 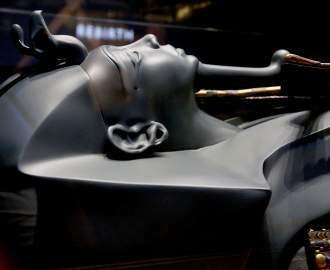 You'll also get to watch an ice sculpture come to life, plus Melbourne acoustic outfit Tom Tuena will be in attendance to keep things lively until late. But if you can't make it on the night, never fear: the igloos will be hanging around all season. Availability is limited, though, so we recommend rounding up the crew for mid-week catch-up in this most unique setting. Each igloo houses up to eight people, and for $40 per person, you'll get a chef's tasting plate, chocolate fondue, plus your choice of an espresso martini, house wine or a frosty pint of White Rabbit Pale Ale. Decked out with fairy lights, plush cushions and blankets, these transparent igloos give stargazers a chance to check out the night sky — minus the winter chill. Secure your spot in the igloo here.